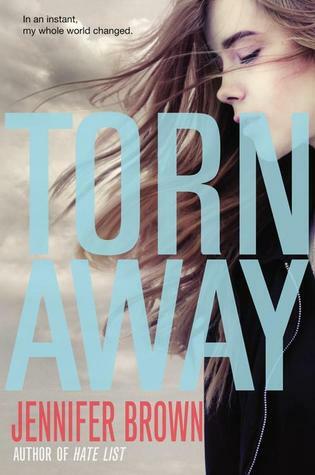 "Torn Away [by Jennifer Brown] is a heart wrenching story of a girl who loses everything in a tornado. This book was amazingly written, and I found myself in tears at more than a few parts. The plot is heavy and attention grabbing. I couldn't put this book down. The struggle the main character has to go through is a true testament to the human heart and its capacity to feel. This book is a great book."